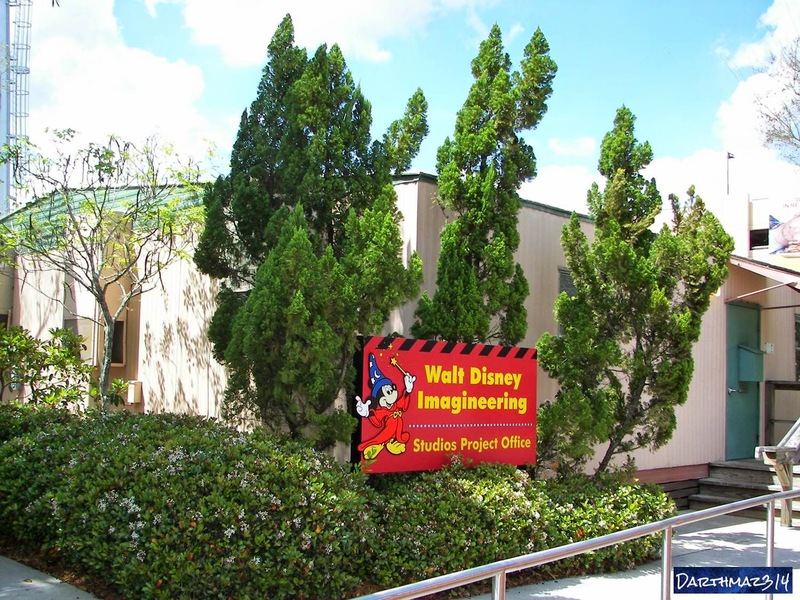 darthmaz314: Studio Backlot Tour at Disney's Hollywood Studios Closed - What Will Replace It? Studio Backlot Tour at Disney's Hollywood Studios Closed - What Will Replace It? More and more of the Walt Disney World attraction rumors that ricochet around the internet are becoming a reality. 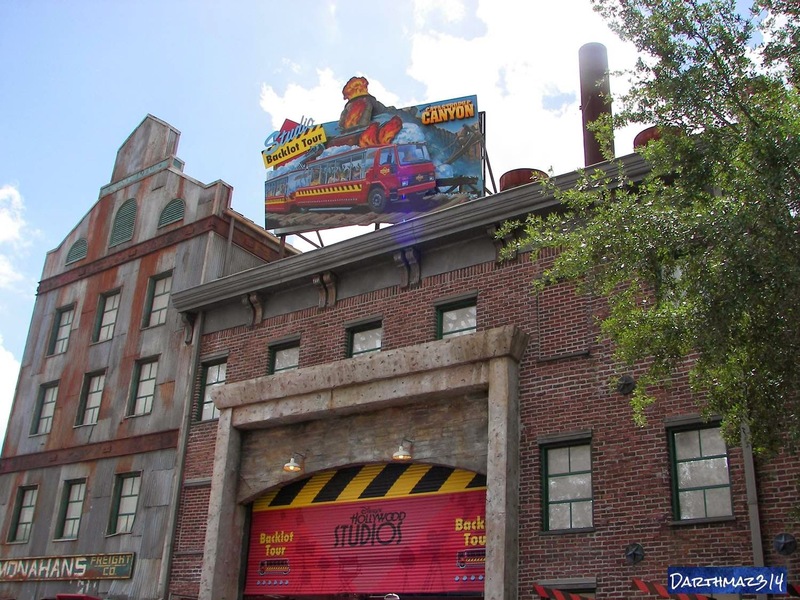 After much speculation about the permanent closure of the Studio Backlot Tour at Disney's Hollywood Studios, Disney made it official with an announcement earlier this month. 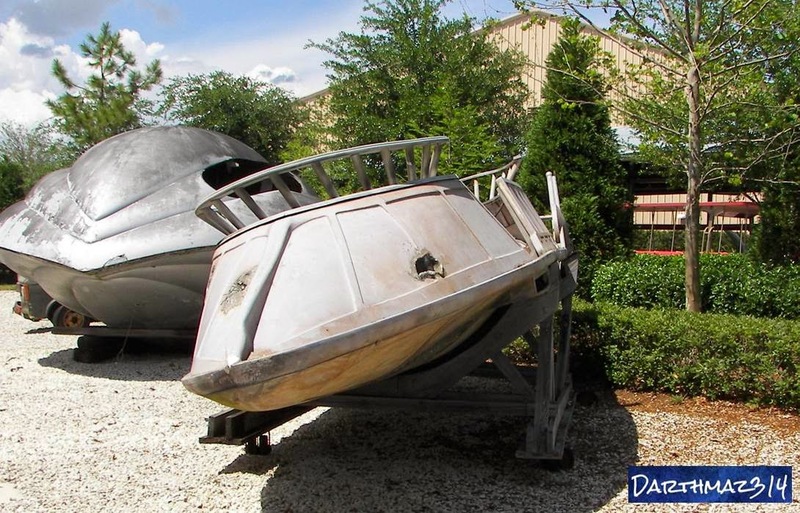 The last day of operation for the Backlot Tour was Saturday, September 27. 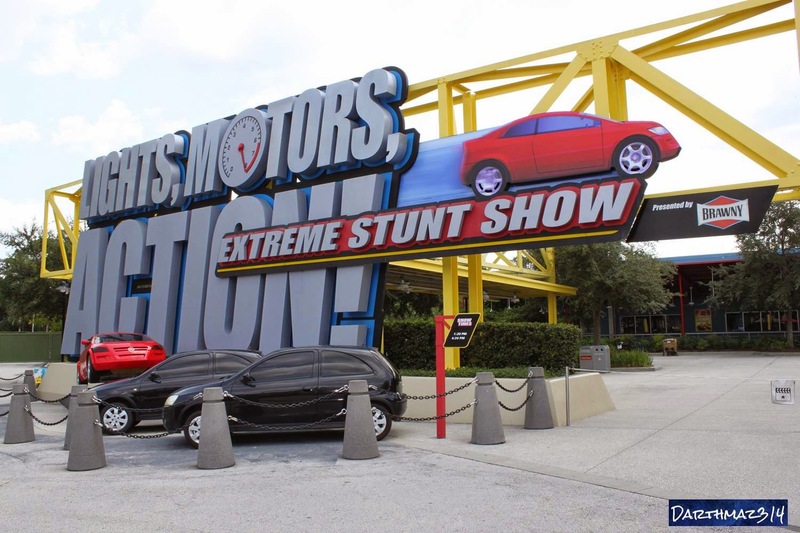 The Studio Backlot Tour was an original attraction that dated back to the 1989 opening of then-named Disney-MGM Studios. At that time, the tour was one of the marquee attractions of the Studios and it was not commonplace to expect long wait times, particularly on peak summer days. The original incarnation of the tour featured a tram trip down "Residential Street," a row of false front house facades that were made famous from movies, commercials and television shows like "The Golden Girls" and "Empty Nest." Follow the link for a few glimpses of Residential Street courtesy of the Disney Parks Blog (click for link). Sadly, the Residential Street portion of the Backlot Tour tram ride was eliminated to make room for the Lights, Motors, Action! Extreme Stunt Show which opened in 2005. 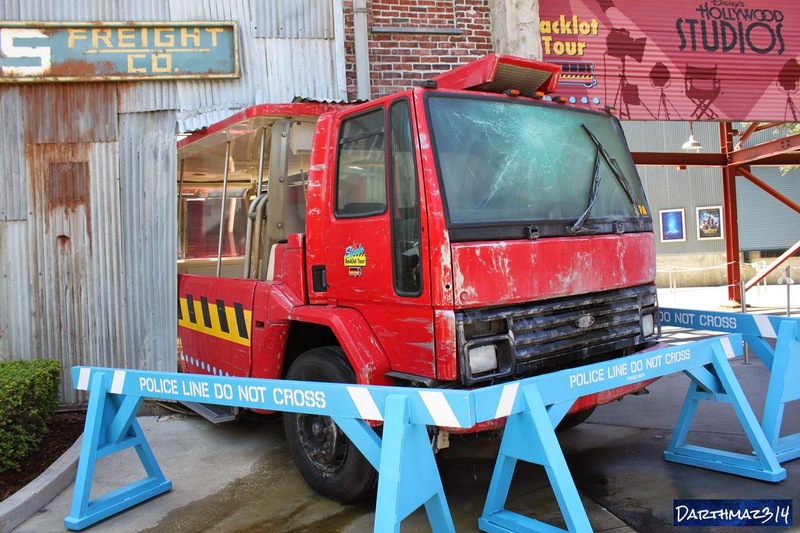 The popularity of the Backlot Tour continued to wane over the years, particularly after it was dissected to make room for Lights, Motors, Action! 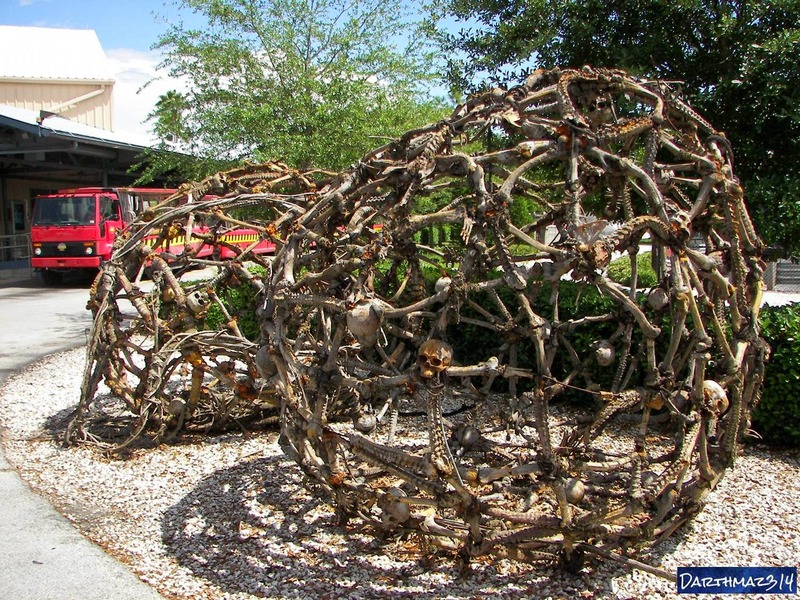 Another component of the tram tour was the trip through "The Boneyard," a collection of large scale props featured in various Disney films. 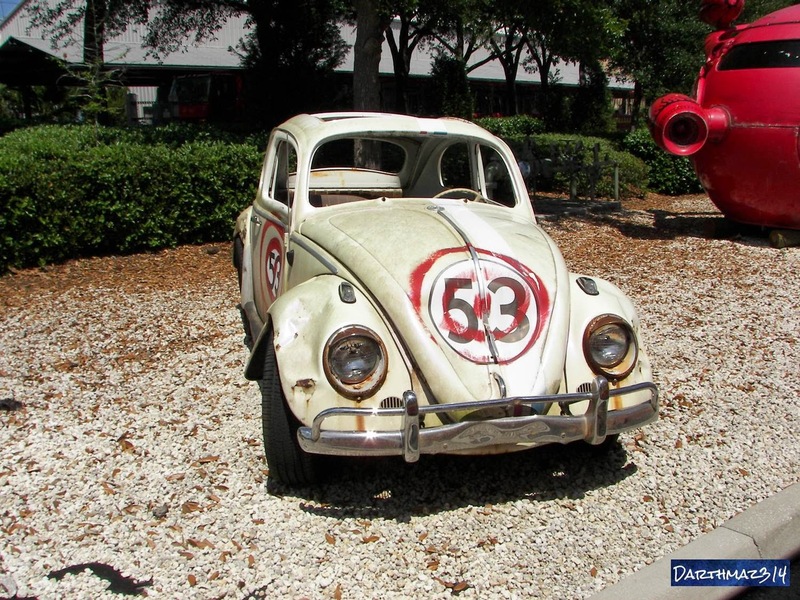 Here you could see some classic props from popular films, including the bone cages from "Pirates of the Caribbean: Dead Man's Chest," the hijacked plane from "Con Air," the steamroller used to flatten Judge Doom in "Who Framed Roger Rabbit," a Skiff from "Return of the Jedi," one of the many incarnations of "Herbie the Love Bug," and "The Mouse," one of Walt Disney's private planes, used by Walt and other Disney executives for three decades. One of the Backlot Tour's highlights was the tram's trip through "Catastrophe Canyon." As your tram wound its way through the backstage area of Lights, Motors, Action! (which is unavoidable, since this attraction was literally built around the Backlot Tour) it "inadvertently" wandered onto a "hot set" where there was a very dangerous special effect scene being filmed. This scene included a rickety bridge, an earthquake, some pesky falling live wires, an oil truck that caught ablaze faster than Katniss Everdeen on amphetamines, and a deluge tank effect that cascaded enough water down the canyon to extinguish the fire and introduce a fleeting moment of cool into an otherwise torrid central Florida summer day. Click the link to watch darthmaz314.com's Video Featurette spotlighting Catastrophe Canyon (click for link). 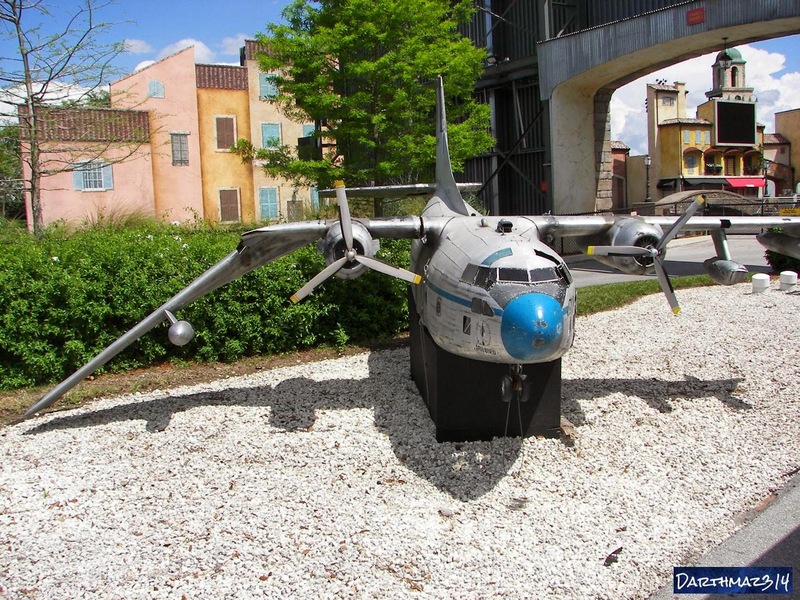 Over the years, the Backlot Tour saw numerous changes, including the introduction of the behind the scenes look at the creation of special effects scenes from the Disney/Touchstone release Pearl Harbor in 2001. 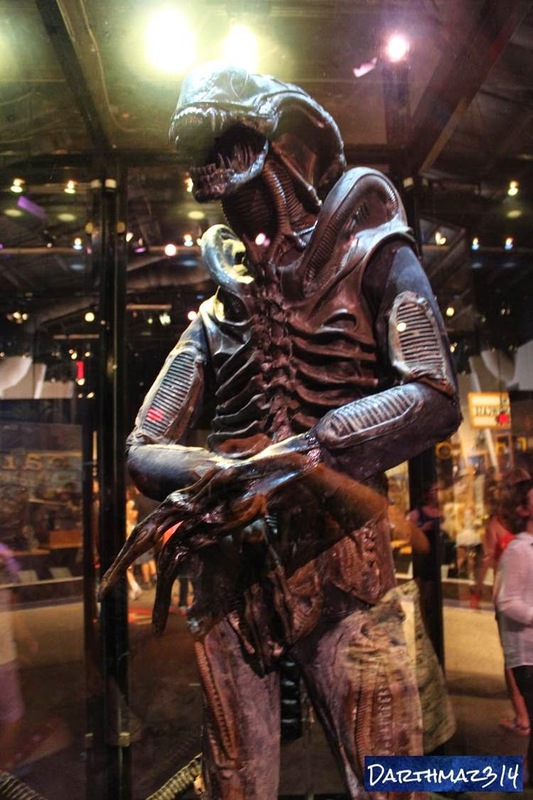 In later years, this element marked one of the highlights of the tour as it did offer a glimpse into the world of film making special effects. Integrating audience participation also helped to keep the crowds coming back, since you never knew if you would be selected to become "a part of the action." More recently, Disney's negligence in updating this portion of the tour with a more current film definitely contributed to its decline. With Pearl Harbor on the long side of a decade ago, integrating a more recent release into the tour may have been called for. These days, if you want to use an older film in an attraction, it had better be a classic that transcends time. While I am a fan of Michael Bay's WWII epic, a classic it is not. Another contributing factor to the Backlot Tour's decline was the cessation of production at the Studios for the Disney brand. While there was never really production work being done for any blockbusters at the Studios that would have made a guest think they could catch a glimpse of a major television or film star, at least when there was some production work taking place, it gave the sense that as a guest, you were somewhat in the thick of things while on the tour. The tour used to allow guests to walk through a prop warehouse section and the tram portion at one time passed through several working areas of the park, including the costume department. As these components were excised from the tour over the years, so were the throngs of guests waiting in line for the attraction. 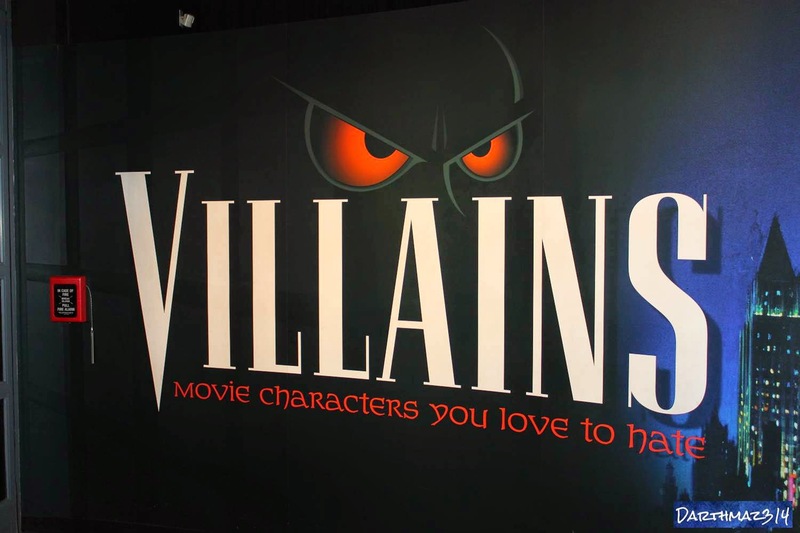 In recent years, the final stop on the tour was a walk through exhibit sponsored by the AFI (American Film Institute) spotlighting villains in film. 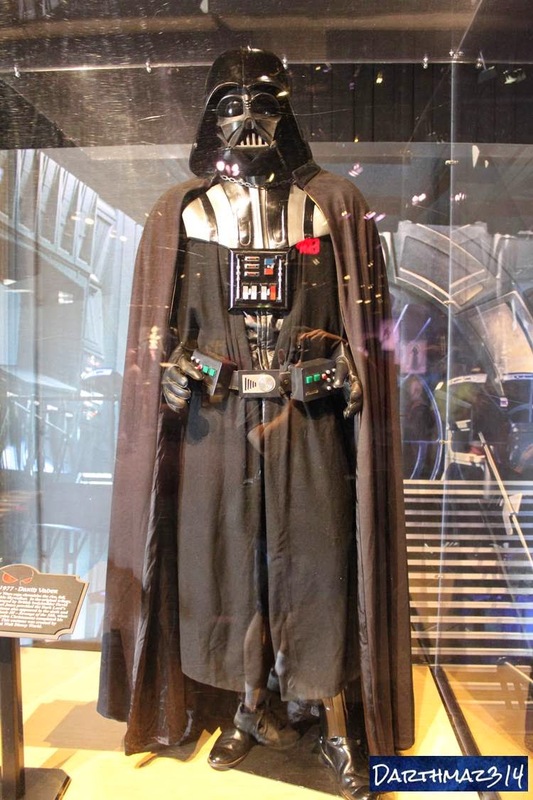 The exhibit, entitled "Villains: Movie Characters You Love to Hate," featured some nice costume and prop photo ops focusing on villains listed on the AFI 50 Greatest Villains in Film. 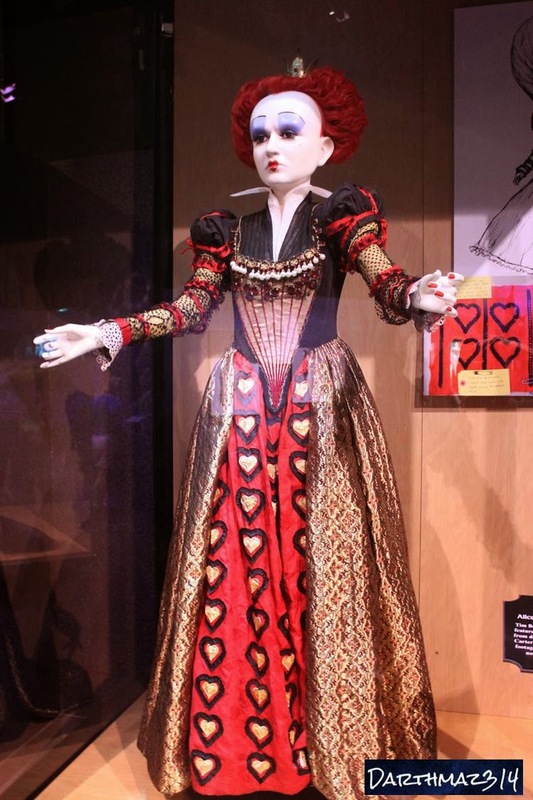 Below is a sampling of some of the costumes that were at one time on display. 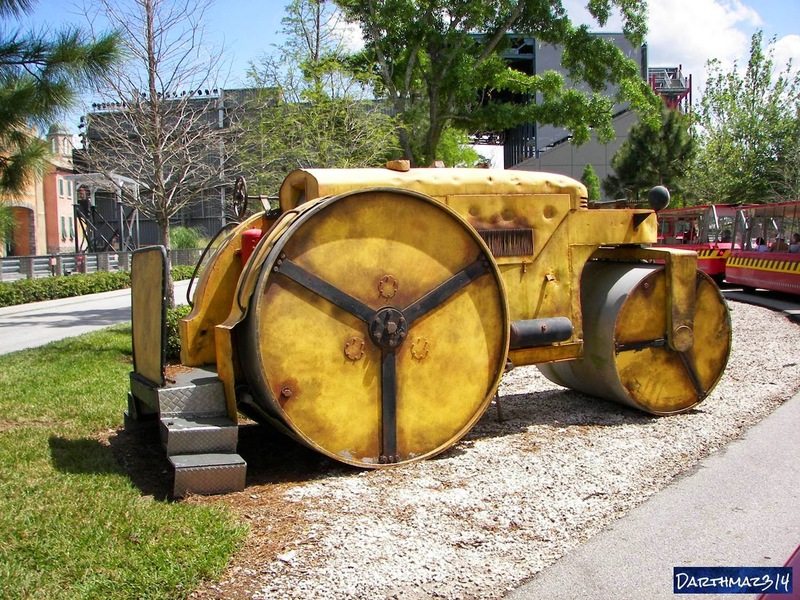 Although many had grown weary of the Studio Backlot Tour and it was true that it had become a shell of its former self, I personally will miss the attraction. Not only was it an original Disney/MGM Studios attraction, but it was reminiscent of what the park once was and will probably never be again...a theme park that focused on the process of making movies. And while I will certainly welcome the attractions that take its place, there will always be a place in my heart for the Studio Backlot Tour. So what's next for the location now occupied by the Backlot Tour? Read our next post for darthmaz314's predictions. Say Goodbye to Hollywood...At Least to Part of It.